Max Verstappen admitted after an incident-packed Chinese Grand Prix that he needed to think about how to end a run of error-strewn races. The Red Bull driver, 20, lost a likely win with an over-optimistic move on Lewis Hamilton and then crashed into Ferrari's Sebastian Vettel. Verstappen admitted his mistakes, and apologised to Vettel after the race. Verstappen said: "I will analyse everything and put that in my knowledge and have a better race [next time]." The Dutchman said he was "not happy" with his performance, adding: "Those moments happen in your career. Nobody wants it but unfortunately it happens." Verstappen's errors in China were the latest in a series of mistakes in the first three races of this season. He damaged his car running wide in the early laps in the opening race in Australia and then spun, losing several places and finishing sixth. In Bahrain, he crashed in qualifying, then retired after a collision with Hamilton's Mercedes. 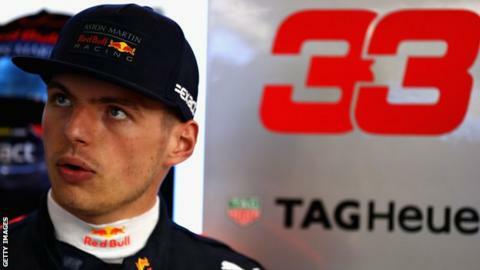 The Briton described him using an expletive when watching a replay after the race, and said Verstappen had shown a lack of respect. Red Bull team boss Christian Horner had emphasised to Verstappen that he needed a clean weekend in Shanghai. 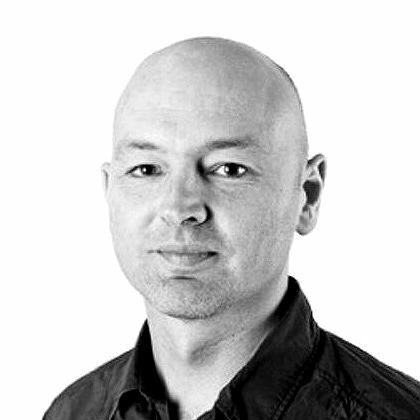 Verstappen said: "It has been a difficult start to the year. In terms of speed, it is all good but somehow - I don't know why - in the races… maybe wanting a bit too much, trying to recover from what went before. But it is a bit difficult to judge right now." Asked if he needed to calm down, he said: "It's easy to comment. At the moment, it is not going the way I like. Does it mean I have to calm down? I don't think so. It is very unfortunate those things happening. I just need to analyse everything and come back stronger for the next race." Vettel said Verstappen had apologised for the collision on lap 43 that dropped the Ferrari driver from a likely third-place finish to eighth. "I was lucky to continue," Vettel said. "It was Max's mistake. He was on the brakes too late. We had a tailwind all race. I should have known. "He came to me afterwards and apologised and I told him: 'Look, you threw a podium away yourself.' Don't forget it is split-second decisions but I think he has been around long enough. "He wasn't close enough. I wasn't going to resist anyway. There was no point. They were so fast on fresh tyres. At that time I was racing Lewis and I was waiting for him to come through. "I didn't see him until very late. I left a bit of room as well. I was expecting him to come earlier. "I was waiting for him to come down the inside. He didn't. I wasn't sure where he was. I left him a bit of room. I was a bit wide at the apex in case he misjudged his braking and obviously he misjudged more than I thought. To some degree you can factor in people's mistakes but not always. "I guess he misjudged it. This can happen when you [have done] 300 races. The judgements are very difficult to make inside the car."